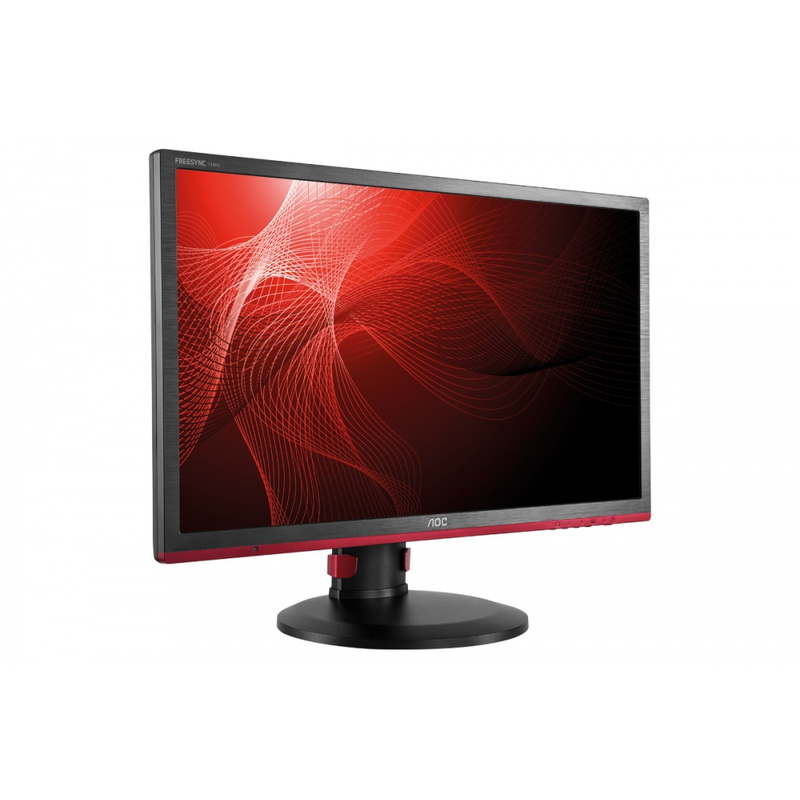 Designed for serious gamers, the 24-inch AOC G2460PF display delivers an extra smooth playing experience with AMD FreeSyncâ„¢. Combined with an AMD Radeonâ„¢ graphics card and AMD Catalystâ„¢ driver, FreeSyncâ„¢ seamlessly synchronizes the monitor and GPU refresh rates to eliminate tearing, stuttering and input lag. 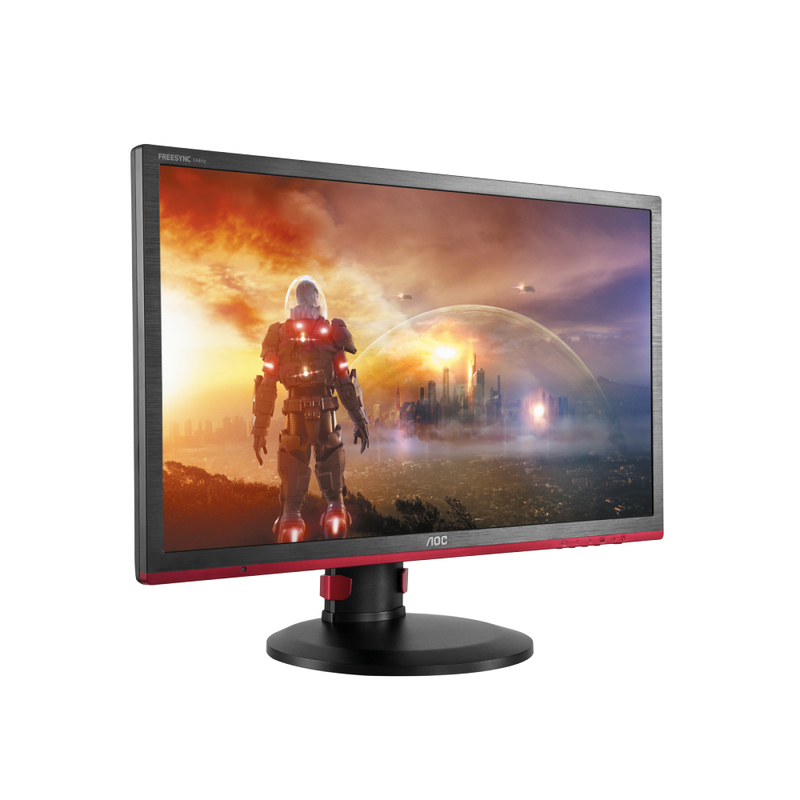 Ultra fast 1ms response time and impressive 144Hz refresh rate diminish distractions like blurring and ghosting that can mean the difference between victory and defeat. Whether youâ€™re racing around the track or stalking enemies in a first-person shooter, the Full HD resolution delivers sharp, true-to-life imagery. Goodbye motion blur! 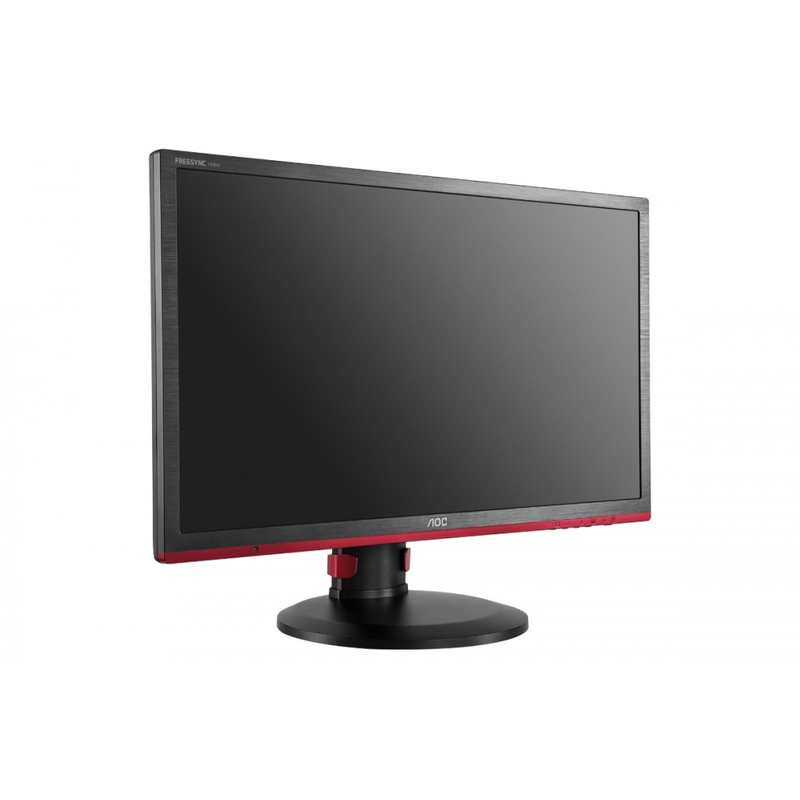 Equip yourself with twice the frame rate of other monitors and forget enemies that appear to stutter across your screen, making them difficult targets to hit. 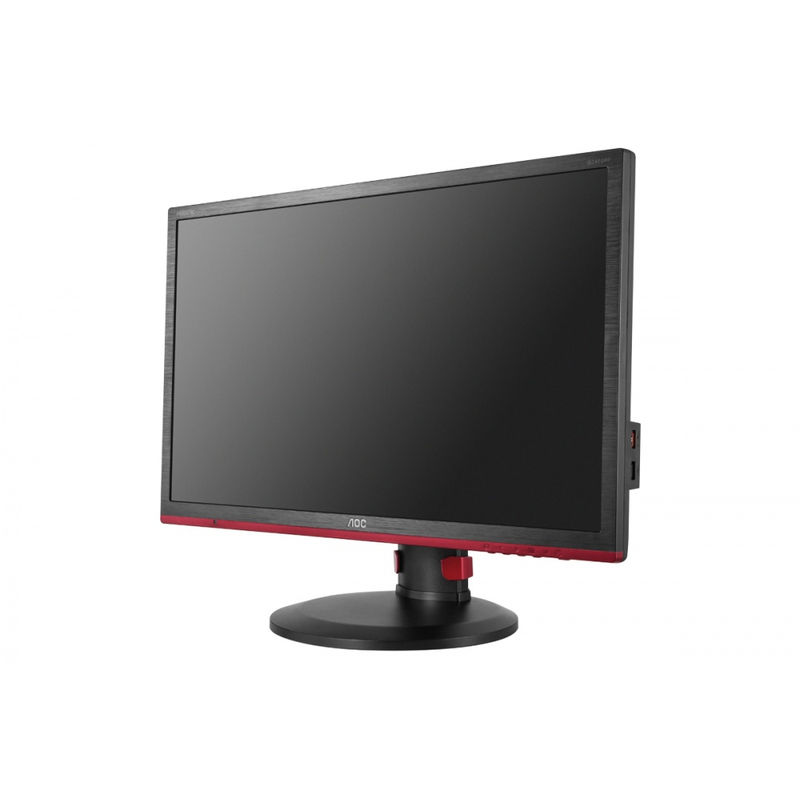 With a 144Hz frame rate, you see those critical missing images on the screen, showing your foeâ€™s movement in ultra smooth motion and eliminating blur and tearing. Games are too good to go unseen. A pixel response time of 1 ms means speed without the smear for an enhanced gaming experience. Fast-moving action and dramatic transitions will be rendered smoothly without the annoying effects of ghosting. Choose the right path to success, donâ€™t let a slow display stop you. 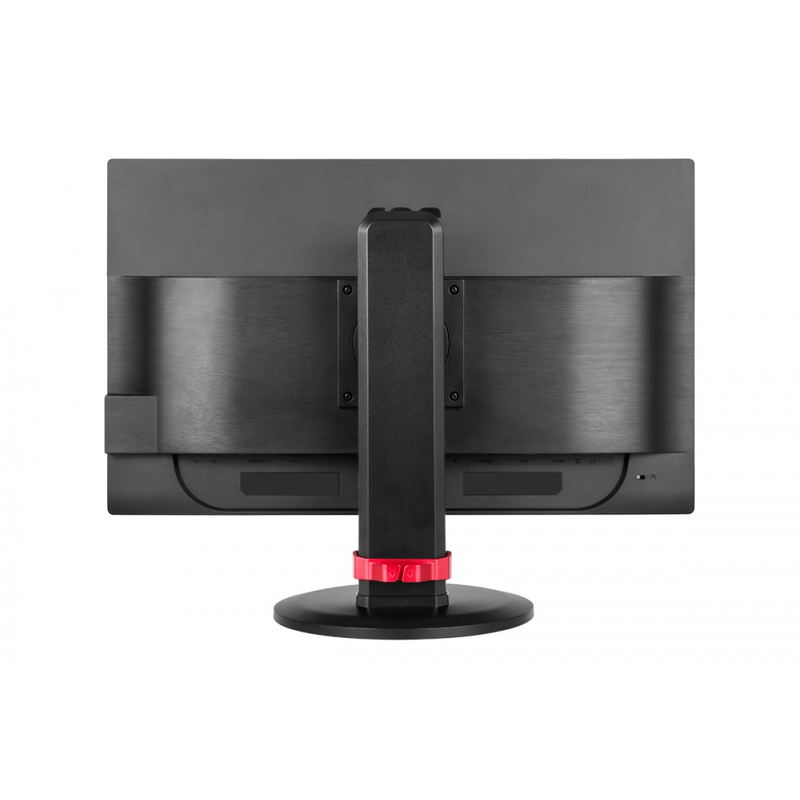 Never worry about leaving your monitor behind again while taking a nap at the LAN Party. The Kensington Lock gives you the freedom and security to fill your batteries for the next match. 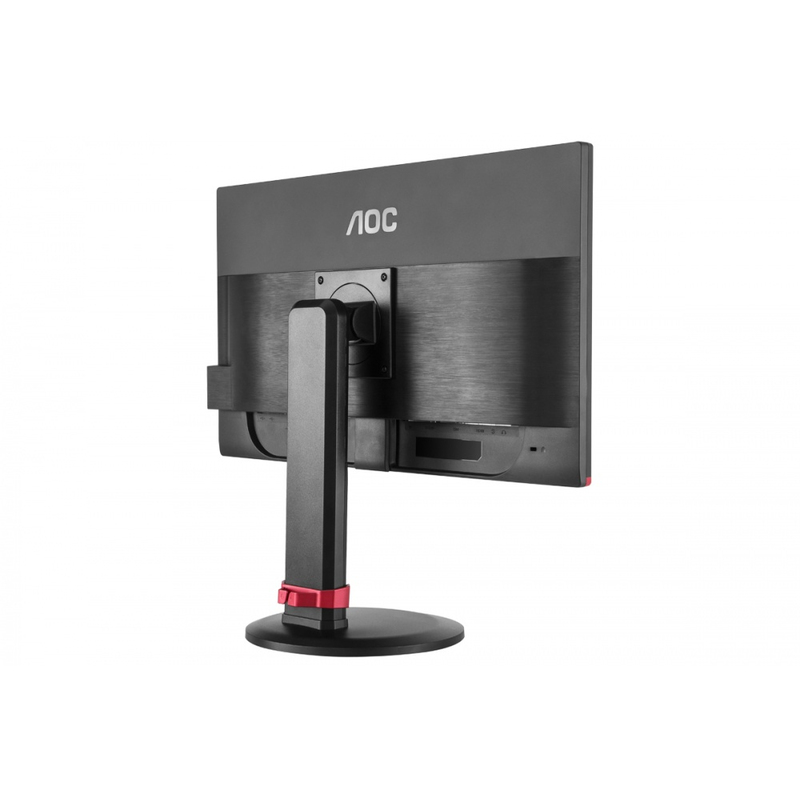 The AOC-4-way adjustable stand allows the user to effortlessly modify the monitor height by 130mm, swivel left and right, tilt the screen angle, and pivot 90Âº to suit your sight level. Enjoy marathon gaming sessions in ergonomic comfort. Gaming, your way. 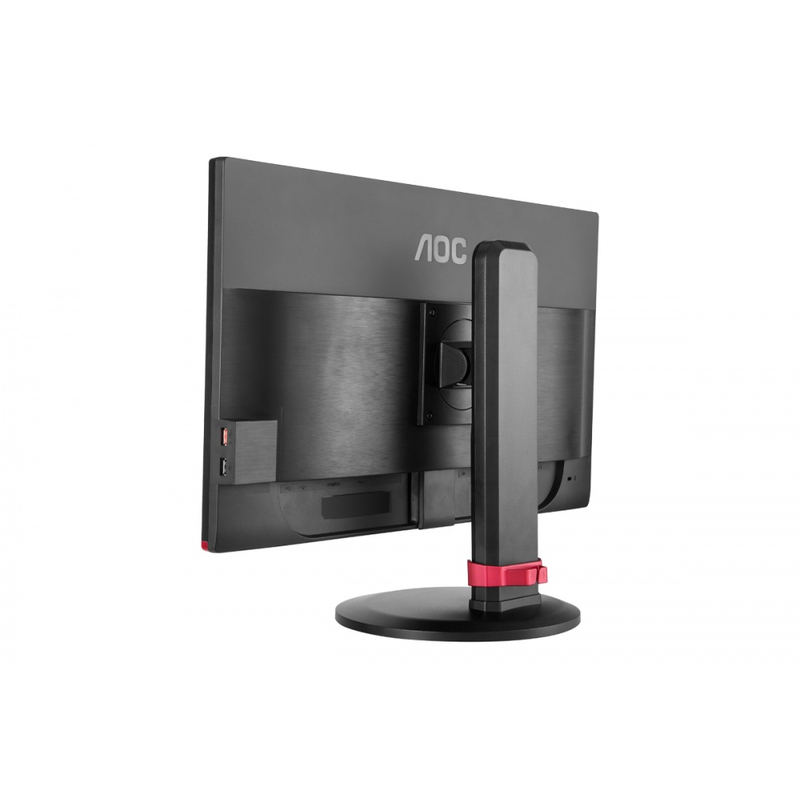 AOC Flicker Free Technologyâ€™s hybrid solution regulates brightness without flickering ensuring comfortable viewing. The built-in active and passive USB 2.0 hub provides easy-access ports for convenient connection of USB devices. 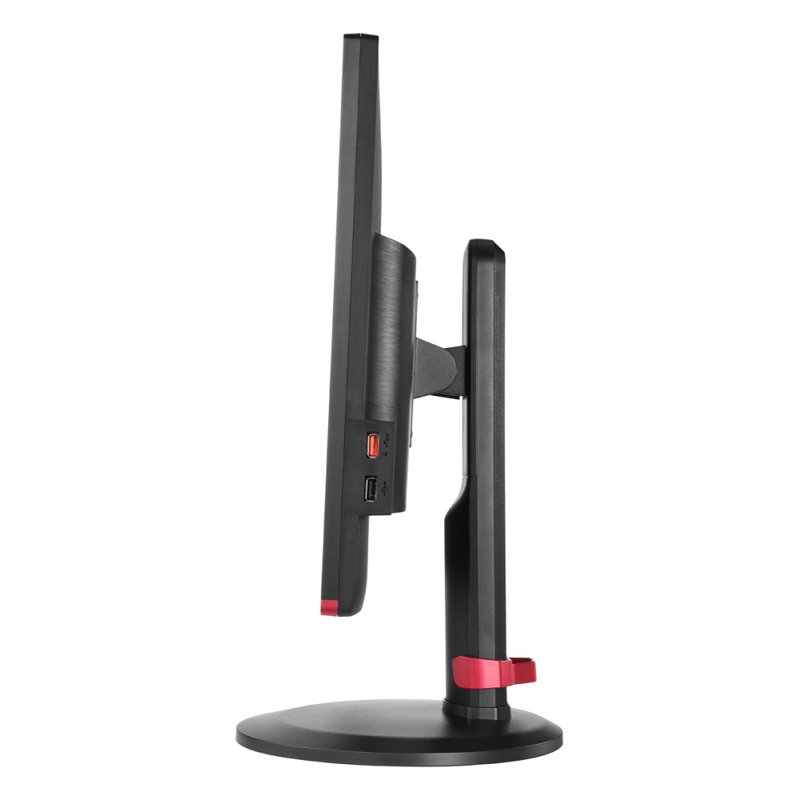 Multimedia-Ready with HDMI Input - HDMI(High-Definition Multimedia Interface) enables you to connect a secondary device to your monitor with up to 60 Hz. Switch between your PC and console on the fly to experience a huge variety of new possibilities playing all your favorite games, on all your favorite devices. 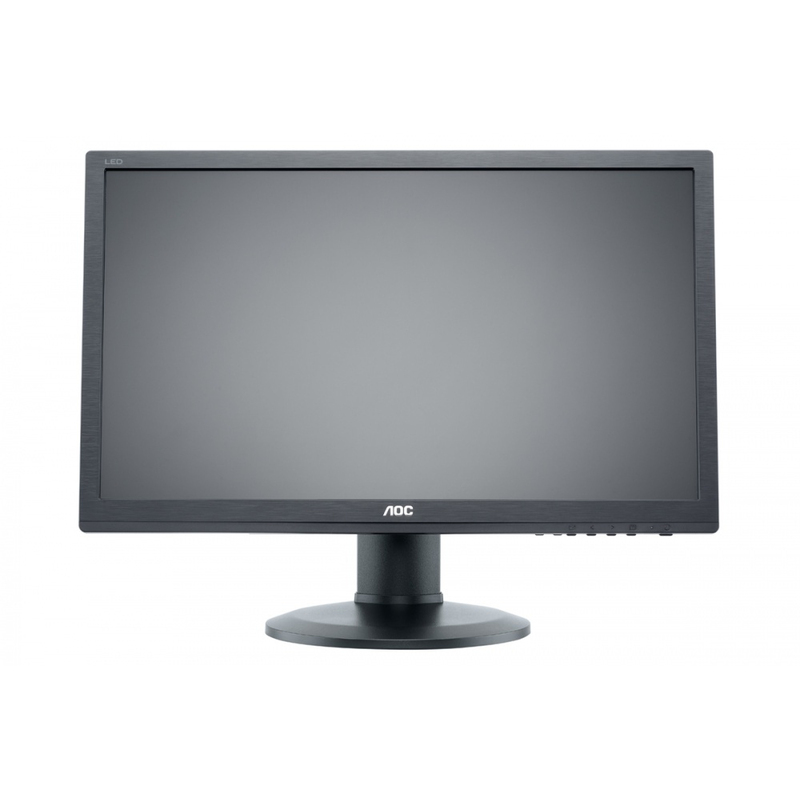 Display Port - DisplayPort is designed to be the future digital video and sound connection standard, capable of higher performance than older formats. 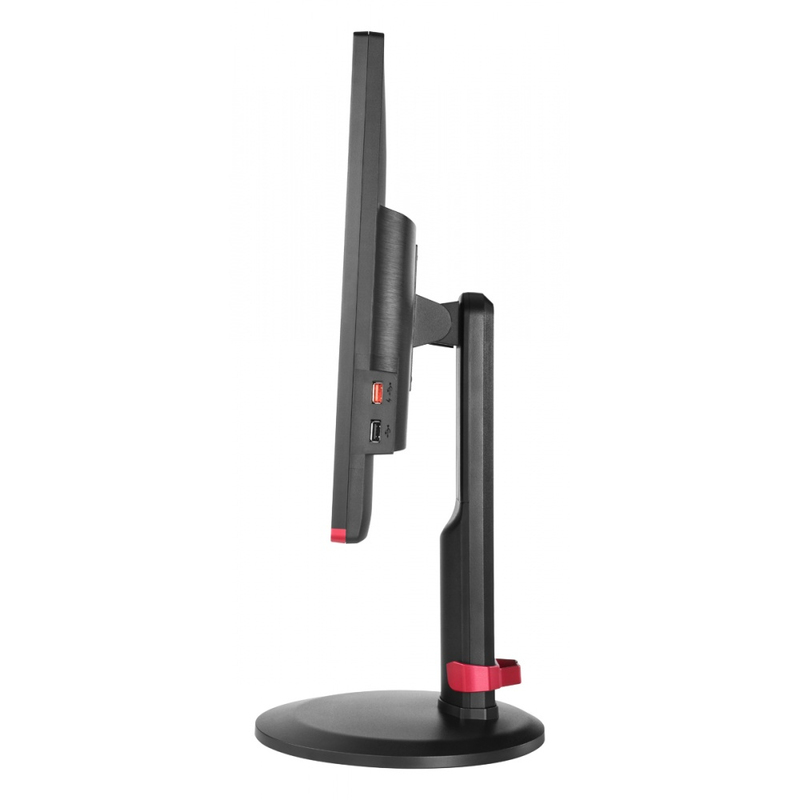 Dual Link DVI - Dual Link DVI effectively doubles the video bandwidth at a given pixel clock frequency, supporting higher screen refresh rates (120/144Hz) and greater color depths. Built-in speakers make it easy to catch up with family, friends and colleagues. For movies, music, games and more, youâ€™ll enjoy quality audio without the hassle of connecting external speakers.